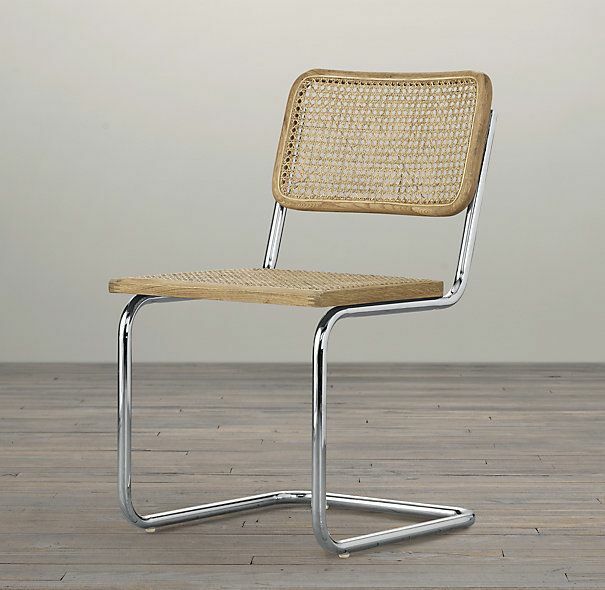 Growing up we had these caned-seat chrome cantilever chairs, that eventually got replaced by something more “country” (it was one of my mom’s decorating phases). My family holds on to stuff for wayyyy longer than need be. I would come across these chairs and think “eewww.. so 80’s!”. Eventually the chairs disappeared. And now I wish they were still laying around in storage somewhere! 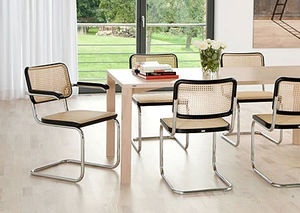 The table legs are a surprising mix with the chairs. Restoration Hardware has a knock-off. So, maybe this has been a bit of a tease. 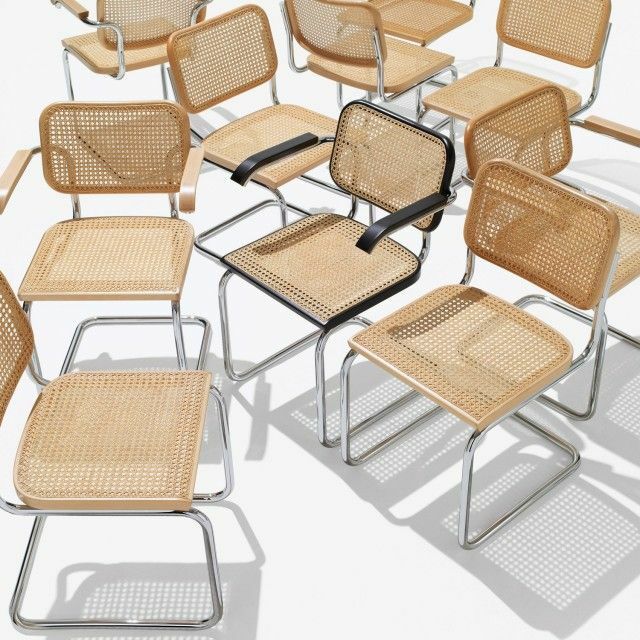 I don’t have the Breuer Chair (What??!). I have a pair of Breuer style stools. I haven’t seen a lot of these, but I think they’re pretty neat, and would look great at a breakfast counter. They’re in overall very good condition. A few light scratches to the chrome at the bottom (I can provide photos if you’re interested). The caning is in great shape, as is the wood. They sit 40″ tall at the top of the back and about 24.5″ at the seat. La Vieja Don’t Feel Blue – Here’s More Blue & White!